Falling on ice can be very devastating for many people, from broken hips to compression fractures in the lumbar spine. 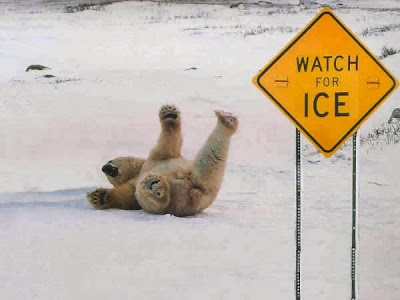 Do you know the best way to prevent falling on ice? Take very small steps and strengthen your legs! Small steps keep your feet under your body and allow your foot to maximize it's surface area, making you much more stable. The farther your foot gets in front of you the greater your risk of falling. Also, do body weight squats on a regular basis to keep your legs strong, if you start to fall strong legs will help you get your feet under you again preventing you from falling. 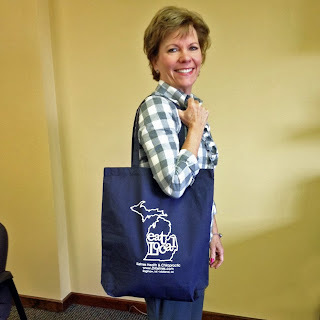 Eat Local Michigan bags are now available! 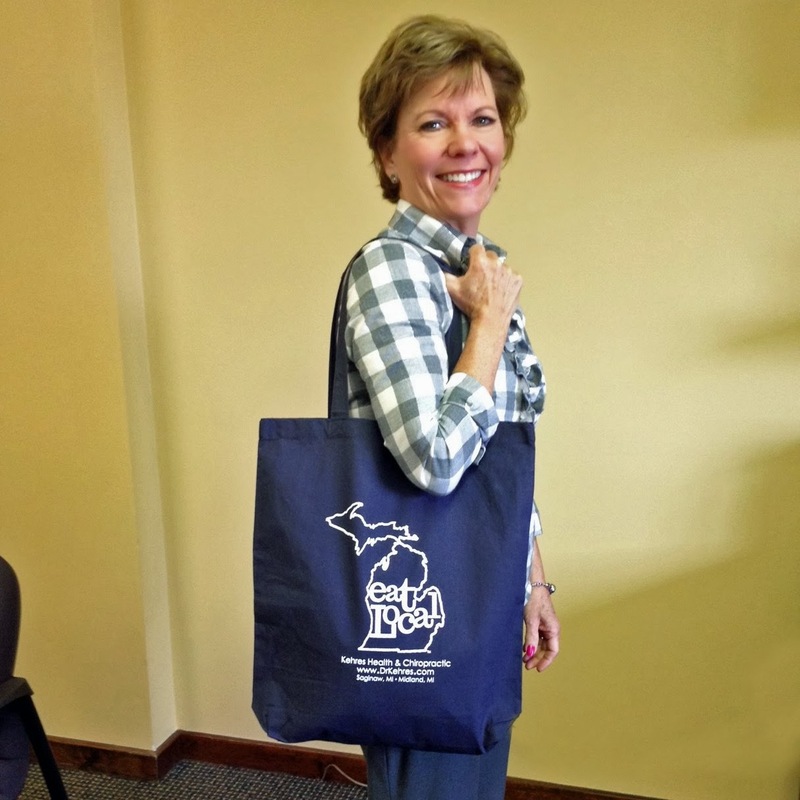 We now have Eat Local Michigan reusable grocery bags! 15" canvas bags with long straps, they are perfect reusable grocery bags, lunch bags or for shopping at the farmers' market. Available at Kehres Health & Chiropractic in Saginaw or online, click here to purchase an Eat Local bag or shirt. Proceeds go to the Michigan Farmers' Market Association. 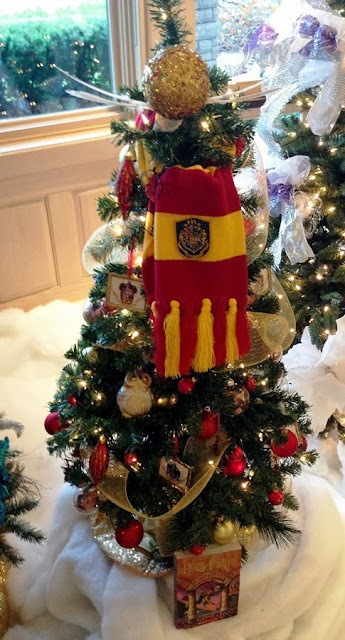 Here is our Kehres Health & Chiropractic "Have a Very Harry Potter Christmas" tree for the Junior League of Saginaw Valley's Festival of Trees. Did you go to the festival this year? If so what was your favorite tree? Here is the tree from the 2011 Festival of Trees and 2012 Festival of Trees. Guess who has local grass fed beef by the pound?! Kehres Health & Chiropractic in Saginaw, MI does. We literally have hundreds of people we meet who don't want to buy quarter of a cow and are only looking for a few pounds at a time. We now have that for you! We will carry burger, steaks, soup bones and everything else. If you have something specific please let us know. 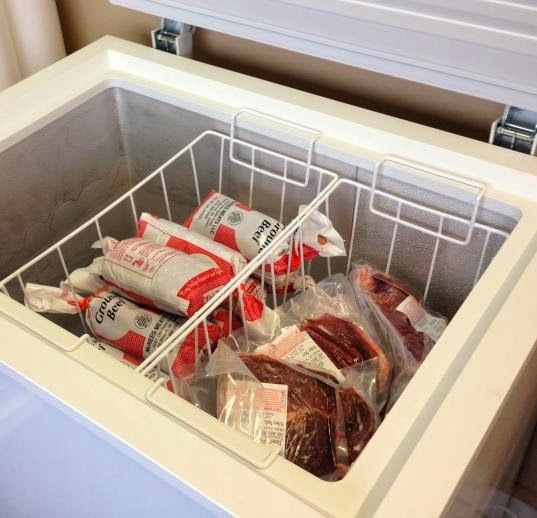 The ground beef will be $5.50 per pound and the steaks will vary depending on size and type. $5.50 is more than reasonable for local, drug and hormone free, grass fed beef!